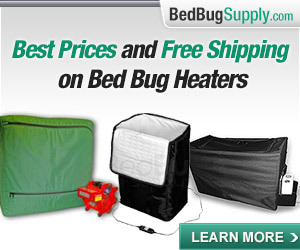 Note: since this post was written, Bedbugger has a new FAQ on Killing Bed Bugs With Steam. There are steamer recommendations and further tips on technique and safety in the Steaming FAQ, compiled by bedbugger Mangycur and nobugs. We have long had a success stories page. And though readers often forget to write and tell us of their success, when they do, I’ve been pasting the stories in there. Some, however, are longer and more detailed than can fit into the page. So I have decided, from here on in, to give each its own post, and to link to that from the success stories page. Success Stories are now in this forum. I had been scratching my arms like crazy at night for several weeks. This started to really impair my sleep. But I never suspected anything gross, and the reason was that my husband slept through the whole thing without even as much as a scratch. So first lesson: Not everybody scratches. One very early morning, after a sleepless itchy night, which I like to call my last night of innocence, I stumbled my way to my iMac and googled: arms itching night. I was instantly flooded with allergies-related results, I was to take an allergy test, and find out what it is my body cannot take. Had I recently changed soap? Was Zytec right for me? I knew I was not allergic, never had been allergic to anything, and thought never will be. (Second lesson: Now, I am allergic, but the details will come later). Buried, almost hidden, within the sea of allergy sites, one result line grabbed my attention. More exactly, one word in the line : bedbugs. At least it sounded different than the rest, I clicked. I was faced with the picture of a round-shaped brown bug, not exactly ugly. There was even a Latin name for it, and a very long story about what a terrible thing they are, and how impossible it is to get rid of them, and how they can make you scratch all night long. I shrugged. Yes, I shrugged, so comforted by my own naiveté, that I could not possibly harbor such a repulsive thing in my very cozy pricey king-size bed. I headed back to the bed, making a mental note to self: Get an appointment for an allergy test. As I was walking around the bed to occupy my rightful side, passing by my snoring open-mouthed husband, I noticed a dark spot seemingly moving on top of my white-as-snow comforter. I got closer, and there it was, doing his morning jog, the exact reproduction of the image I had just shrugged at on my iMac screen. A bedbug, and a big one. A rounded one, which means his belly was full. Full of blood. Full of yours truly’s blood. I had bedbugs. I would never be the same person again. Luckily, it was a day off. I immediately woke my husband up, and announced to him that we were infested. He had no idea what we were dealing with. Neither did I, but I knew more than him. We had to clean up. We did. We lifted the king-size mattress against the wall, and started inspecting it. We immediately found them. They were hidden under the mattress seams. We cleaned that. Should we throw the mattress away? We decided we should. So we started to shop on line for new mattresses. Nothing happens in a day, so we kept sleeping on infested mattress for a few more nights. We had an exterminator come in. A nice fellow, who quoted us $2,500 to take care of the problem, with no warranty, and a lot of prep work to be done by us. We decided we would do the work alone. I read everything there is to read about the issue on the blessed internet, ordered a whole case of deadly poisons online and we started spraying around. I literally threw half of my bedroom contents in the garbage. Everything that was worth saving, but that I could live without, I sealed in to plastic bags and stored in a container located in my back yard for a period that was set to 18 months. 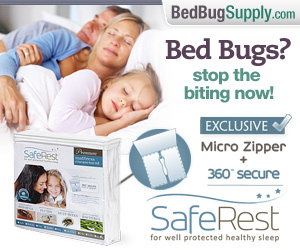 (Based on the assumption that the bedbugs can live a little over a year without food). Overreacting? Nope. Under-reacting. They kept biting me. I searched all the rooms in the house to finally come to the conclusion that they were only in my bedroom, but some forensic evidence suggested they might have once resided in the guest room, and then migrated to greener and bloodier pastures, my warm sleeping body. Began the era of suspicion, which guest brought that questionable gift? We started gossiping about the hygiene of everyone we knew and had been kind enough to pay us a visit in the middle of our woods. We were mean. We were desperate. And then the worse came, the karmic punishment, my daughter told on us to the neighbor. Innocently, as a perfectly legitimate response to the question: Did you have a good week end? She decided to describe my epic battle against the bugs to my closest neighbor. We were exposed. I got sympathetic displays of support, was told that New York is infested, that it is not my fault, that I am not dirty, etc.. I spent a few more evenings spraying and cleaning. I bought a mattress cover. I bought white sheets, washing them daily, to be able to spot the tiniest intruder. My husband decided to keep our prisoners alive in a Tupperware box and experiment on them various pesticides. I was not sleeping much. By then, I was almost philosophical. I was thinking I am being tested by some higher powers. Had I been a believer, I would have certainly gone far into that path. My husband, on the other hand, was simply happy the house was getting cleaned much more frequently. Have I mentioned he slept though the whole thing? Well, he did. I, was not sleeping at all. First I had adopted an anti-bug attire to go to bed: Socks, PJ pants stuck into the socks, long sleeves shirt stuck into the pants, rubber bands on the wrists, and insect-repellent spray all over the whole package. Probably the part that my husband did not really appreciate, this attire was not working for him, go figure. And then I read that bedbugs will find their way to your blood no matter what, and will not hesitate to bite your eyelids. I got the hint, and took the socks off. Bite my feet, if you want. They did. I was sleeping by periods of 10 minutes, waking up at every real or imaginary itch on my body, and immediately grabbing the flash light to catch the perp in action. My husband had KGB inspired dreams, I had no dreams at all. Why didn’t I move to a hotel or another room? Simple, they would have migrated out of my room, and I wanted them in there. Also, it had evolved into a principle. They will not drive me out of my room and my bed. I started following them at night, and establishing theories about their habits. I was now able to recognize them at their different stages of life, the egg, the nymph, the adult. I knew their hours. I knew their paths. I learnt more and more about them. They are not social, they are resilient, they scatter when threatened, and they can go dormant for months if needed. And the more I knew, the more I realized it would be very hard to exterminate them. By the way, before the bedbugs, I honestly believed every life form should be respected. Like I said, I will never be the same person again. Then one night, I got bitten by a tiny one, a baby if you will, very energetic. That was one bite too much. I stood up in the middle of my room and started crying uncontrollably. My husband opened an eye and looked at me, he then asked me to turn off the light because it was disturbing his sleep. He was smart enough the next morning to deny any remembrance of that request, and claimed he was probably sleep-talking. Nevertheless, I moved to the living room, and ordered him to keep sleeping in the bedroom as a bait. Which he did, gladly. And one day, I knew. I had to kill them all, in all their stages, wherever they were, whatever it took. Obviously the pesticides were not working. They were only killing me. By then I was highly allergic to the Drione powder I had purchased to allegedly melt their disgusting little bodies. I was sneezing twenty times in a row every time I moved an item in my bedroom. I had read that the diatomaceous earth I was practically sleeping in could cause cancer. (Editor’s note: see response below.) I was slowly dying, and they were in great shape. It would have to be mano a mano. The conventional way. I had to go to battle against them directly, not hidden behind a sprayer. I made the smartest purchase of my life, I bought a dry steam cleaner. $1,500 of killing steam. This would be my weapon of choice. And I went to war. The war lasted 8 straight hours, during which I went through every inch of wood and mattress in my bedroom, with a flashlight in one hand and a steam nozzle in the other. I crawled into unbelievable spots, I moved unbelievable weights, I was super-human for a day. I made no compromise, did not skip one crevice, I followed them home. I found them, everywhere. I found their eggs, found their hiding places, sometimes in the tiniest little nail holes. And I steamed them. 310 F of burning steam. They did not have a chance. I knew that even one survivor could mean re-infestation. Then I left the room and took a shower. I had a cold beer. And I came back into my bedroom, sparkling clean, smelling like a dry-cleaner shop. And I knew they were gone. I just knew. Since then I have been sleeping like a baby. So does my husband, but he always did. They are gone. Some will say maybe they scattered, maybe they are hiding, maybe there are eggs. I know there aren’t. They are ALL dead, I killed them one by one with my bare hands. This is my recommendation: No pesticides. Just steam and good hard work. First, we generally recommend professional pest control operators (PCOs) because they can often get rid of bed bugs faster and more fully than self-treatment. Pesticides are imperfect, but in many cases, necessary. That said, steam absolutely does work. Some PCOs use it and later apply dusts or sprays. PCOs may also use steam in lieu of other treatments in sensitive cases where pesticides might pose a problem to residents. It certainly can work well for individuals who do their research and (as you note) do a lot of hard work. We do have to keep in mind that it will not work if the steam cannot penetrate every place where bed bugs are living and laying eggs. (For example, this can be deep within a sofa, or inside the wall.) If steam alone, as per your tactics, did not work, or if readers wanted to be sure they got rid of bed bugs quickly, they might combine steam and then pesticides and/or freshwater DE (all properly applied, of course). We haven’t heard again from you, and we hope they were all killed, but in most cases, it would probably be best to have some residual pesticide or food grade DE waiting in case they pop out. Regarding diatomaceous earth: first, you should not be sleeping in it, and it should only be used in small amounts and in crevices that won’t be disturbed. Used correctly, I have read that food grade freshwater DE should be safe. If you have articles suggesting otherwise, please share them. On the other hand, inhaling any dust, or drione, is not a good thing, and so your sneezing was a sign something was wrong. Thanks again for sharing your story! Steam has many fans in our readers, and your story will no doubt inspire many who are willing and able to do the work. Your story sounds much like mine. My wife was reacting and I was not although I do know now that I was bit as badly as her except I did not react for three months after we started our War. I still have reactions to old bites and stress and chemicals and my wife and dog appear not. I totally believe in steam. I started steaming only after three pesticide treatments of three different products and a few self treat with Steri-Fab and Bedlam. I used FoodGrade FreshWater DE and vacuumed etc… also threw stuff out. I decided to steam after all other tactics were used. I used an inexpensive steamer and then a more expensive steamer. I believe that you do not need to hit the enemy dead on to kill them. I believe a less hot hit can still kill. I believe that a less hot hit can somewhat cripple the enemy and eventually will die. My infestation was discovered in October 2006 long before the amount of info that we now read and see today. I believe that steam is a very good tactic but I think that in most cases people do need pesticides. I think the term is called Intergrated Pest Management. You have been fortunate but so many different situations and living conditions exist that I do believe most people need chemicals, in fact I would like to see the government introduce stronger pesticides I honestly think that we cannot win the War without them. Collette, you are a true bed bug warrior. I’m looking around my current studio and trying to think how I would treat and steam it the intensely thorough way Colette did if need be, a “what if” plan for next time. I would like to know if it is possible to use that dry steamer on outlets? Aren’t they something that’s supposed to be treated? Or is it more a matter of inspect & steam – if you see no bug evidence there, no need to steam? Personally, dry steam or not..I would not use it in the outlets. Much too dangerous. I would personally purchase a small amount of Drione Dust just for the outlets ONLY and puff some in there. It’s like Natural Grade DE but much stronger because it’s mixed with chemical. In the outlets it will be undisturbed and not breathed in. As long as it’s undisturbed it’s lasts a very long time in there. Thanks, Paula, that sounds like a good plan of attack. No, FoF! I would not use steam (even dry steam) on anything electronic. How long ago did you perform this massacre? Has it been 2 months? I would only feel safe after 2 months of no signs, bites or otherwise. Just a note: Collette emailed me back in October. Somehow the message got stuck in my email, and I only just rescued it this week. (I am not usually this bad, but sometimes things get lost in there.) Anyway, I hope she will see this and let us know how it goes. I have emailed her to let her know it has been posted. your story was hilarious. i just discovered the characteristic 3 consecutive bite patterns on my arms, then now on my legs. i tried sleeping 25 feet away in the living room on the futon, but they found me there too. i thought of doing some of your hilarious ideas as well (covering my body in clothing) – but thanks to you crazily trying it, i won’t have to bother with my own similarly insane ideas. anways, i’m going to buy the drione dust (why won’t most sites ship to NY? banned here?). 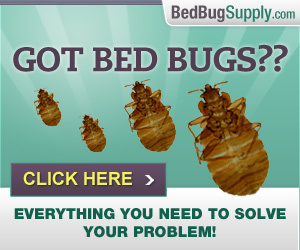 i’ve been increasingly hearing of people with bed bugs. in fact, it was just at lunch last week when a friend was saying he had bed bugs. inside, i was secretly thinking – what’s wrong with this guy’s cleanliness? and as karma would have it, the bites appeared on my arm the next day. no, they did not travel from his pant leg at lunch, then up onto mine, and then into my apartment. i understand they don’t really travel so much during the day or on people’s clothing. but i learned this building had an infestation then extermination 9 months ago. splendid. well, since i have yet to perfect levitating in my sleep, it will be the drione dust and hopefully the landlord will get the exterminator in here asap. having dreams of these biting me at night. fortunately i hear they only feast every 4 days, so i’ve got another couple days of hopefully sound rest. i wish i could leave a bowl of blood next to my bedside, almost like an offering to the bed bugs, but i’m sure they prefer getting it fresh and warm from yours truly. thanks for your story. nice to have someone to relate to, since i can’t tell too many people about my bed bugs, apparently the stigma is worse than hiv these days. I would have the landlord get a professional in rather than trying to self-treat with drione. Read the FAQ on doing your own pest control. Other FAQs should be of interest to you too. People should do research before attempting to do their own pest control. It sounds like you did just that and I am glad you had a good experience. We’ve heard many reports of people misusing dusts and it can’t be said often enough that you need to know what you’re doing, apply them sparingly and in the right places, and not disturb them, walk on them, or let children and pets get near them. Never use anything outside of the labeling instructions, and seriously consider the fact that in most cases, a licensed experienced PCO will have an easier and quicker time of getting rid of your bed bugs. Thanks Collette for your write up. You have cheered me up as really distressed about bugs.. as I’ve been really bitten and allergic to them. Right in the middle of finishing my dissertation for Uni and get eaten alive by bugs. A while ago I saw a beetle looking thing (which I now know is a bed bug) and I crushed it at the time thinking it was a ‘one of’. I wasn’t bitten at all so didn’t investigate further and didn’t notice any other signs of bug life. I just stripped the bed, hoovered it and washed the bedding etc.. However a month later (closer to my deadline) I get bitten all over at night. I couldn’t believe it. I checked the mattress and couldn’t find anything and then I noticed tiny black things. I found a spray and sprayed it, boiled the sheets, hoovered 90 times a day, but still got bitten. I chucked the mattress and the bed two days ago and all my bedding and stuff which was in the draws! Materialism went out the window. I didn’t care except getting rid of whatever was biting me. My son wasn’t getting bitten, only me. And nasty. I even slept in the bath so they couldn’t get me, and put cleanly washed towels over me because I was too scared to use any old duvet (which I chucked thinking I had bed mites or something). I bought a wet steamer not knowing there was dry steamers for £40 and steamed everywhere. I’m really distraught. I’ve declared war and going for a second batch of steaming. I am NOT buying a bed until I know they are all gone! My sofa is so expensive and just pray the steam gets them. Each night before I squash myself into my dry bath to sleep I spray downstairs and hope that in the morning they are all dead. Since chucking the bed only been bitten a couple of times so will declare war on the sofa with the steamer… and then only a few hours left to hand my dissertation in. Kill the bugs or finish the essay….. can’t concentrate until they are radicated!!!! BUGS YOUR DEAD!!!!! I too was an animal loving person until these bites!!! Thanks again for your story. My pride had been so pierced but you have really cheered me up. THANKS!!! Managed to get an extension (for other reasons). So tired though. Don’t sleep well in the bath! but too scared to sleep on the sofa or anywhere else. If you bleach the floor do you think that would help to kill any that come lurking out the cracks? I’ve disinfected and steamed by kitchen floor…. the house seems cleanest it has ever been. Will best get on….. dissertaion looming and bugs to steam to their grave!! I know you are busy with your dissertation, but the best thing would be to get a professional who knows bed bugs to treat your home. Depending on the local laws, your landlord (if any) may be responsible for paying. Even if they’re not, getting a pest control operator in is your best bet. It is not about cleaning your home. People don’t have bed bugs because their homes are dirty, and no amount of cleaning will kill them if they are able to hide out in cracks, rather than being hit head-on. 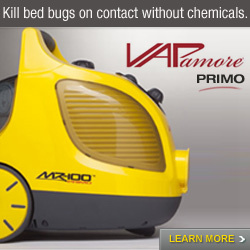 Steam can be a useful tool, but only if it hits bed bugs directly. Throwing out your belongings is not necessary and won’t actually solve the problem. Please read the FAQs and get a professional in as soon as you can. It’s really nice to hear about success stories. I am sometimes sorry we have the internet and so much information at our fingertips because worst cases are always easy to find and the success stories not so easy. I found my infestation 2 weeks ago and have already resolved that I am in for a long battle. I will not lie, I am, mentally, not handling this situation well. I am really freaking out and have already spend $1100 on three different exterminators who I feel didn’t do anything spectacular. It’s now two weeks since the first exterminator and all I am finding is really little ones. I guess some eggs hatched and they are hungry. DISGUSTING NASTY THOUGHT. I would love to hear some more success stories. I really need some chin up encouragement if I am going to survive this. I could have written Collette’s story. Steam has really helped us with the WAR. We are going to have a pro come in and treat, though, while we are on vacation. These &%$# bugs have cost us a fortune! I’m 99% sure I have bedbugs. I don’t have a reaction to the bites, but my boyfriend (who has them at his apartment) has been bitten at my place. Since purchasing a steamer is quite expensive, does anyone know of a company where you can rent one? 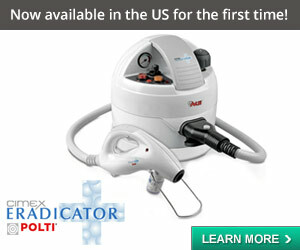 I have not seen any good suggestions for where to rent a good dry vapor steamer. 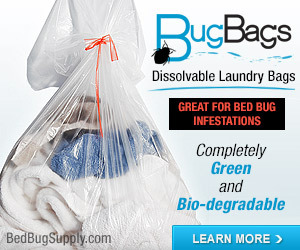 I have begbugs problem for almost 4 months.I have had exterminator came 2 times.I bought vinyl sheet cover my mattress.I bought a steamer.I wash my clothes and put in the bag and afraid to pull them off the bag. I don’t want anybody in my house.I don’t want them to get infected.It makes me not want to be socialize.I haven’t gone out for the past few months.And I can’t share the story with my friends.They will disgust me(I guess).I’m fighting all alone and tired. I think I ‘m going to move and leave all my furnitures and start a new life.I want my life back.I’m so desperate. I have had bed bugs for quite awhile now. Although my building offers extermination “free of cost”, I have 3 pets (1 dog 2 cats) and therefore it would still be a huge cost to board them. On top of that, I would have to take off a day of work since the exterminator comes during the week. And I just can’t deal with all of the prep work to get ready for him. So what are my alternatives? I live in a small studio and therefore can’t use pesticides bc of the pets. Is steaming the apt a good choice? Most people with pets do get PCO treatment (with pesticides) and from what I understand most do not have to board (though they probably do so for the day of the actual treatment). Of course, anyone with pets must discuss with their PCO the need for pet-safe treatment, and how long pets must be out of the home. Some PCOs use steam along with dusts or pesticides, or alone. I would suspect the latter would take a lot of follow-up and know-how. Here’s the thing, if you are not willing to do the prep for a PCO to come, then you definitely must not try and self-treat (which I don’t recommend for lots of reasons) either with steam or with pesticides. It would require both research and even more of the kind of labor involved in prep. where you will likely get many more points of view and suggestions! I just got done with a company bombing and steaming my house. They brought in the dog and he located the bugs the first time in every bedroom. the 3rd time they were there and brought the dog through he only hit on the mattress’and box springs which are now sealed in the bags. I to threw out a ton of stuff and my wife and I did 56 loads of laundry 2X. I am into this for about 5Gs now. I travel quite a bit (used to travel). I have to travel again soon but scared out of my mind. I have been told to tape up my suitcase when on trips and use double sided tape around beds. I usually sleep with the lights on when away but my last trip 3 months ago to Chicago and Greenbay I did not. Now I am going to rent minivans and sleep in them and use the hotel just for showers and PC work. I am getting a steamer today and going balistic on my house. I ahvent been able to concentrate on work since this started a month ago and afraid to go anywhere. My wife says that if I bring them back again she is selling the house. in todays market that could be even worse. I don’t think renting a minivan and sleeping in it is a good solution. Rental cars can be infested with bed bugs too. Your best bet when traveling is to learn to search a hotel room (the CBC video linked from the travel FAQs is helpful) and take some basic precautions when you get home. Also if you have other comments not related to this thread, please go to the forums. Button at top right. Hi! I am also feeling like we have a decease my mom brang the bed bugs with her from her boyfriend both elderly, and my sister doesn’t even want me to use her pool for fear of them and could they could not come and help me because they were scared and said they were just sorry i feel like we have the plague and i can’t let my daughter have friends over for fear of giving them them to them i use to think head lice and body lice were bad after this i would gladly of had either one instead bede bugs which has taken unbelievable amounts of money and time cleaning you also have to dry clothing for at least twenty minutes which shrinks alot of them, p.s. dont dry the mattress covers to long especially the expensive ones with plastic lining cause they will melt! Good luck youll need it im still fighting them after 3 visits from exterminators and home treatments!!!! My experiance with these bugs is at first i thought it was spiders so treated for that and bombed for fleas,thought it might be bed bugs from the internet but was hoping not, finally one night around three in the morning kids found one on stuff animal, so now i knew i bought the de earth and completly powdered the room and used a mask left on for about a week and them vacumed up and sprayed some over the counter bed bug spray, also bought expensive mattress covers made for bed bugs, well that night my mom came running down stairs and said that in her room the bed bugs were crawling all over her and she couldnt sleep and then admited she had been seeing them and were she also when she stayed wtih her boyfriend, they had been infested with them. So i decided to get a pro exterminator i chose the one that dry steamed and chemical at reasonably good price. You basicaly have to gut your house just like you were moving out just leave your furniture which also had to be dismantled, i had to throw out curtain and and if you have the cloth shades like i had im moms room the exterminator told me they were o.k. i asked him 3 times, and after 1st and 2nd treatment they were still there,so i decided to climb up and look on top of the blinds and there was a whole bunch of molted skin where they were nesting,i thru out the blinds of course and during all these treatments we were basicly living out of plastic bags for fear of bugs getting back in till there gone, also they required cleaning out all of my dresser drawers and vacuming before and after treatments also i took practically everything out of my moms roon small applianced and the like can be put in sealed platic bags int eh sun as long as possible the entomologist said they did a study where they tested vcr tapes in bags and it was reaching 160 degrees but the tapes were starting to melt so be careful of any thing real fragile or important, i put all her stuff in the shed purses everything not to be opened for a year and a half i am sill not bug free and am going on my 4th treatment but i have a 60 day warranty and hope by then they will be gone i am also spraying the rooms my self in between treatments, i have learned that the babies will be the size of needle head and be red which is blood, they can be smooshed, the next stage is light tan color the size of large ant and the grown ones are probally size of small finger nail dark brown and not easy to squish , i also when sleeping at night, when feeling a tickle i wake up and get out the flash light, and if you don’t check for them in the middle of the night and find them and put them in a baggie etc. use tweezers you won’t have any proof to show the pros,because they acted like i was crazy until i showed them the proof, my moms room seems to be ok but now my only sanctuary my bedroom i had 5 bites last night my husband doesnt seemed to be bothered but he has mentioned his neck itching, this is one of the worst things bug wise that can happen to anyone , i say bring back the ddt they banned, they did send a entomologist and he told me that no one knows why they are getting so bad warmer climate its any bodies guess, i say bring back the ddt that i use to play in bedhind the mosquito trucks some say that this was the best thing to get rid of them, i know it causes problems but i think you should be able to use ddt for the bed bug problem!!!! I wish you good luck if you have them and (sleep when you can)! I moved into a duplex mid July of this year (I had previously lived two years in an apartment complex). After a week I noticed bites on me. I didn’t think anything of it, it was summer and I was outside a lot of the time. After a few weeks, I started noticing that they didn’t look like mosquitos bites, since they were coming in pairs of twos and threes and were places on my body that you wouldn’t usually get bitten by mosquitos. 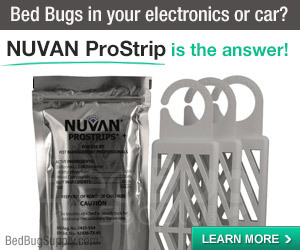 I googled like most of you did, and came up with bed bugs. I thought that it could be bed bugs, but was hoping it wasn’t. I got home from work and searched my bed…nothing. *PHEW*. Or so I thought. A few hours later, I’m in bed reading, and I lift my leg up…and there’s one sitting right on me. I freaked out. I slept in that room that night, but not after that. I started staying over my boyfriends. I had an exterminator come (he had to come back because I didnt bag up all my stuff — no one had told me too). He did look at my bed and state how it was weird no bugs where there, or seemed to be there – we think they were in the room when I moved in. Finally, weeks after that, a guy comes and sprays the room. I wait two weeks (at this point it had been 7 weeks since I stayed in my apartment), and try again…after one night, I get bit. I freak out. Try another night, get bit. That’s when I decided no more. I want out. My roommates (who had rooms right next to me and didn’t get bit) and I decide to move out of the apartment – the landlord was not being cooperative with the situation anyways. I moved this past Sunday, after 3 + months of not living at my apartment, while still paying rent. I took my bed out of my room last and threw it away. I took my bags of stuff which had: books, school papers, DVDs, CDs, and random knick knacks; as well as my desk, computer chair, dresser, night stands, tv, and tv stand. All of which I inspected before I moved them (I didn’t see any cracks or areas they could live in) and I sprayed them with something that “kills bed bugs.” Anything fabric, I threw away. I threw away my sheets, pillows, everything bed related. I started unpacking my bags last night. I’ve been going through each bag individually and I shook out each book, DVD case, etc. I looked in each bag and saw nothing. I brought the bags out of my room. I still have a handful left to do. I slept decent last night. I’m really paranoid today though, after reading about how moving is the worst thing you could do. I keep itching and I think I see two dots on my arm…close in proximity that may not have been there last night, I’m not sure, It’s been a while since I’ve had to look for bites. They’re also really small, smaller than my other ones, they don’t itch and they don’t really look like bites, but I can’t say for sure. I just need advice on if you think I brought them in to my new apartment and how to fix it before it gets bad. I don’t think I brought them. They weren’t in my stuff before I moved in to the other place, I never had a problem before, so my thought is that they were in the room…and hopefully stayed there. When I had all my things bagged up and sealed, I still got bit the one time I tried sleeping in that room. If they were in my stuff, I should be able to see them as I’m unpacking, correct? I don’t see why they would have moved into my stuff when they had a nice hiding spot in the walls of my previous room. It was probably difficult for the PCO to treat the last apt. successfully since you did not stay in the room. 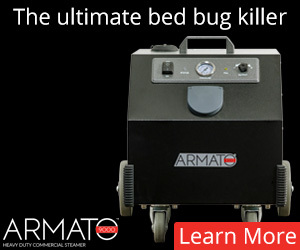 It is usually necessary for someone to sleep in the same bed in order to draw the bed bugs out to cross poison and die. Also, one treatment usually does not do it. I finaly think i have gotten rid of my bugs its been 7 months,but i had to do alot, professionals came in but you have to watch them,after 2 treatments they came back and told me to leave the house again, i had just went around the block and drove back by and the guy had already left,so don’t trust them i also sprayed each time they left on my own home depots (GOOD NIGHT BUGS spray)and flipped all my furniture over and sprayed everything and was still seeing them even tho they were moving slower,every single piece of material in my house was washed and dryed or just dryed and put in plastic bag and sealed make sure you throw away the bags that you take to the landry mat and use clean ones. dont forget your curtain and shades also. After my warranty time was up with the professionals, i then bought a steamer from sams club called THE MONSTER for just 100 dollars, and followed the directions but let it warm up about 15 minutes longer than it says to, so it was real hot and i steamed everything in the main rooms they were in, the base boards above door ways( cause ive found they do like to hide high up too) everything! cracks in floor boards bedframes pictures i didnt care i mean everything and lo and behold finally i won!!!!! yeah i am 7 months FREE! I also bought new shades most of mine were plastic ones! Good luck to anyone in this predicament,p.s. i just today read a article that the governments are going to get together and try to fight this problem starting in public housing. I am going to newyork city for vacation which is haveing big problems so when we go we are leaving a change of clothes in the landry room so when we come back, we will imediatly change and wash and dry all clothes and purse and shoes from trip and luggage goes in shed, because even nice hotels have been reporting problems too. 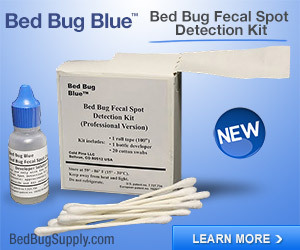 Hi everyone, I want to share my success story of fighting with the bed bugs. After 5 month struggling with this problem(I called exterminator, tried steamer. I still got bitten at night.) I decided it was time to make my final move. I took a long shower, put on my best cloth, took my wallet. I walked stright to the kitchen, I light up a fire in the kitchen, and I ran. A few minutes later, I was watching those bastards burned in hell a half mile away. I won, I finally won. Bed bugs can be hard to treat (especially if attached neighbors and infested and untreated) but the problem CAN safely be eliminated without damage to people or property. I’m not sure where to post this but i’m about a half step away from lighting that match (I AM joking). My story is kind of long and complicated but the short version is that I got bedbugs in an apartment complex, was the first to say so, was blamed by everyone, treated but not everyone did, treated per all the advice on this website, was confirmed bedbug free by a bedbug dog (and the health department but they basically looked at my mattress and gave me the thumbs up), moved to another state into a home with another family, and found a bug on me last night. there are A LOT of people I’m going to have to tell and that scares me at least as much as the buggers themselves. 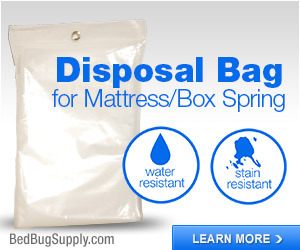 nobugsonme…do you still have bedbugs? How long does it take for deamaciouse earth to work? i have had it down for 2 days and im still getting bit.I NEED ADVICE PLEASE!!!! No. I do not have bed bugs now. I started the site in 2006. It’s been about a month battling these bastards. It all started when my roommate had them. I did not think much of it until they came into my room. I initially one see one or two on the wall. Did not think anything of it until i saw some bed and checked the internet. As you all known i’m fine till i have to sleep. I hate the fact they are bothering me and my room. Lately if i see one i don’t sleep in my room (I have a new bed with mattress and pillow protectors). We had an exterminator came over. We used a steam cleaner. I spray with stuff i bought off the internet. I tossed most of my clothes. I tempted to dump the chest of drawers. I read many sites that say you should sleep in you room. It’s hard because your mind races and you imagine they are on you. Sleep is key and many nights i go into another room to sleep. This weekend i’m going to secure the bed by using tupperware or something smooth for the bedframe. I’m getting double sided sticky tape to seal any crack etc. I’m hoping to god i’m at the tale end of this. We need to get back to spraying like they did in the 60’s and early 70’s. It killed mosquitos and these damn things. Beginning right on the night before my finals. I am ridiculous ( a poor college student idiot) and I am sleeping without a bed frame. Yes, my mattress is on the floor. Needless to say, I am getting rid of it. I am slowly becoming desensitized to the terror of feeding these creatures against my will. I will ask the landlord what he wants to do to my apartment once I’m gone for the summer…but I will be returning in the fall.. and I pray they’ve died from whatever action they take. And I am praying that I won’t bring them home from college with me…. I am going to wash and dry all my clothes and check every crack and crevice. I hope they aren’t living in my computer… I hope I hope. For now, I can only conquer my own anxieties. They will not steal my peace, even if they do steal my blood my unblemished skin and a few minutes of scratching a day. This is just a hypothesis. Don’t take my word for it. 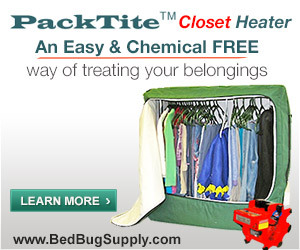 I hate to be negative but it is harder than you think to kill bed bugs with thermal temps in a car. Remember that the items must be 120 F at their core for a sustained period of time. And remember if the car interior reaches 120 F it does not mean the core of the items will reach it. Heat does work (as does commodity fumigation with Vikane TM gas– sulfuryl fluoride — and some people use the latter to gas the contents of a truck. However, you cannot be certain you killed bed bugs in items stored in a car on a hot day, unless you have used a thermometer at the items’ core and tested the temps. I am really sorry you have to deal with this, especially while you’re in college. I read Colette’s letter with great interest and have pretty much resolved myself to the fact that I too have some level of bedbug infestation going on. Though I haven’t been able to SEE a bug, everything else I’ve experienced is in line with her experience and matches up with some other things I’ve read. Looking back, I think I can even pinpoint the hotel where I picked this up some time back, and as I think about the dark bedspread and carpet colors where I’ve stayed (pretty typical) coupled with the not always, such good lighting, it makes for a very concerning prospect where future travel is concerned. Interesting for me as I look back at what tipped me off. I wasn’t sure if I had some sort of rash going on, was being bitten by pet fleas, etc. I’d gone to our doctor and though I couldn’t get in to see my general practitioner, the person I did see (a PA) gave me an antibiotic prescription thinking I had some sort of internal bug. WOW, little did I know what type of thing I was up against until one day I received an email from this general health list I subscribe to (Healthtips Weekly) that was titled “Bedbug Outbreak” in the subject line. That piqued my curiosity & interest to do a few searches and the more I read, the more depressing it got. I haven’t told my wife yet as she freaks out over having a few ants around so I haven’t sat her down for this one yet. I’m reminded of Jack Nicholson’s response to Tom Cruise in “a few good men” when Tom Cruise says he wants the truth and Jack Nicholson replies, “you can’t handle the truth” – likely to be the case with many people as this problem continues to emerge… And to be honest, I can relate because from the past week this whole thought has been fairly stressful as I look at the road ahead and as Colette wrote, I think it changes how you view some things forever. Up until now, I imagined this as a childhood rhyme or verse and not much more. From hearing of them growing up, I imagined they only lived in places far away and I’d never have to meet up with something like this head on – wow, what an eye opener. My particular immediate area seems to be centered around our TV room and more specifically, the couch in that room. It hasn’t shown anyplace else in the house yet and I have frequently gotten bitten while sleeping in that area. For now, I’m inclined to want to continuing sleeping there to keep them there versus have them moving elsewhere and hitting on the rest of the family (until I get the attack plan together). I suspect that saving my hide-a-bed couch is probably too much to ask, just since I’ve read about the levels of detail in steaming, etc and am also concerned about dislodging these bugs while jockeying it out of the room and out of the house and having them flee into areas more difficult to get them out. I also have some electronic gear in that room that is a concern but have to think for now that they’re centered within the folds of the couch and won’t take flight to some of those other areas, until I start moving that couch around to get it out so I’m thinking of moving the electronic stuff out first, prior to disturbing the couch. I read one reader’s comments about not using a steamer around electrical outlets. Having an electrical background myself, I wouldn’t be worried about that so long as the power to that receptacle was off. So I have a few questions and they may seem like stupid questions but again, not having seen these things yet… Here goes. 1 – Just how fast are they? I’ve gotten up in the middle of the night with that sense of itching and turned the light on and nothing was there. 2 – They don’t like sun light and are ‘nocturnal’, does that mean that sleeping with the light on keeps them somewhat at bay and in hiding? 3 – They can apparently be transported on clothing. Is that because they somehow got trapped? Otherwise you might think they’d scurry off when a person was getting ready to move about i.e. getting up from bed, etc; unless they’re so stubborn that once they’re locked on for a meal, they won’t let go until they’re finished..
4 – Is there any single good means of trapping one for a specimen? It would be great to actually prove a theory prior to going after something you’ve never actually seen. Finally – Colette, if you’re reading this – can you provide more info on that steamer you purchased? Brand and model number would be excellent and it would be helpful too to know just what led you to purchase that particular one versus the lesser expensive models. So far, the steamers or vacuums I’ve seen don’t really seem to lend themselves well to an attack on a pest like this. It’s as if the steamers were too limited in temperature or speed of use and vacuums (such as our Eureka upright) only have short hoses for really getting where you need to get (versus longer hoses with plenty of suction like one might see at the car wash). As much as I hate dropping big bucks into steamers or vacuums, from reading more about this problem, until some chemical company comes up with a miracle, it may be put to good use on more than one occasion. I could relate too with your comment about your daughter letting the cat out of the bag. It’s easy to imagine that kind of thing spreading like wildfire with your kids or your family being ostracized once information like this gets out – especially if people know just how serious of a pest this is. I see you have found the forums, and I direct others to respond to your post there. Please also note (and have updated this post above to reflect the fact that) there are also steamer recommendations and further tips in the extensive Steaming FAQ, compiled by bedbugger Mangycur. Anyone considering steam treatments will probably find it most helpful! So i was traveling and lucky me brought back bed bugs =( I dont have alot of money to spend on an exterminator so I read about the steam. Could i just use a regular clothing steamer? If so could you recommend some? sorry im so frustrated. feel like they have takin over my life. lol help! thank you! A regular clothing steamer would probably put out regular (not dry vapor) steam. Dry vapor steam is recommended because you want to avoid causing a mold problem. Mold might not seem like a big deal to you now, but it can cause very real health problems and be very hard to remove from your home. The steam FAQ (see below) will probably help as it gives details on what to look for in a steamer, and links to resources on what temperatures are required and how to do this. I have had BB twice and have sucessfully eliminated them both times. I know that self treatment is not recomended on this site, but it worked fine for me. In my OPINION the first thing you should do when infested is SECURE YOUR SLEEPING AREA(BED) SO THAT YOU CAN GET A GOOD NIGHTS SLEEP. I treated my matress/box springs, pillow with a low level synthetic pyrethrin in the morning(give any residual time to disapate before bedtime) then immediately sealed it up. I also pulled the bed away from the walls and put cans under the bed legs (nothing must touch the ground except these cans) filled with mineral oil (did not think this trick would work until I saw lots of BB drowned in the cans the next morning). Of couse wash your sheets, blanket and pillowcase in hot water and dry until it is very hot. I also sprayed my metal bed frame with bleach twice and scrubbed it off in the shower( I do not reccomend throwing away stuff in genreal, but I will make an exception when it comes to WOODEN BED FRAMES(these are BB heaven), bite the bullet and get a cheap metal frame. Inspect you body very good before you go to bed because you can bring them from other areas into you previously safe sleeping areas. The above is just a FIRST STEP so you can retain your sanity in the fight against these creatures. A whole protocol is required for a systemic elimination. I am NOT A PCO, SO THIS POST IS JUST MY OPINION. I would recommend instead our FAQ on isolating and/or protecting the bed, which explains that there may be better options in many cases than cups of mineral oil under your bed posts. In addition, we warn everyone not to spray any products outside of their labeling instructions. In other words, please do not apply pesticides to bed or pillow unless labeled for this purpose, and even then, use caution. Most people get rid of bed bugs more quickly and easily with the help of an experienced pest control pro, who knows bed bugs. If you must self-treat, please read extensively before you spray anything. The resources in our LINKS (in the top navigation menu) provide some places to start. If you are going to call a PCO, your best bet is NOT to start treating yourself. Your PCO needs to work with a clean slate — as well as to see any evidence before you clear it away. It is also possible to make the situation worse. Read all about isolating the bed and the special cups but here’s what I tried. At Home Depot I bought a pack of “Real Kill” household pest glue boards. Put one under each leg with a piece of plastic in the middle so the bed frame wouldn’t get stuck on it. So far no bites. The traps did catch a couple of spiders and mosquitoes though. Upon my checking, however, I have found two bbs crawling on the wall which were smashed. Does this seem like a reasonable approach? 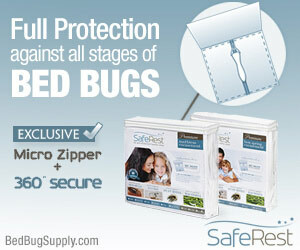 We have heard that bed bugs may be deterred from climbing onto a glue board. 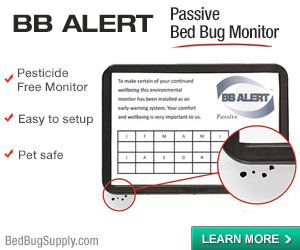 The advantage of the ClimbUp monitors is that bed bugs will apparently not be deterred by them but will climb right in. If you use ClimbUps and do not yet see a bed bug sample, but have bed bugs, it may mean they have not had reason to climb onto or off of the bed, since they may be feeding on you on the bed, or they may be feeding on you elsewhere. On the other hand, if you use glue boards under the bed and do not yet have a sample, it may mean the bed bugs are staying in the bed so far, or that they are biting you elsewhere (both possibilities with the ClimbUp) OR that they are dispersing elsewhere rather than climb onto the glue strips. If the bed bugs are deterred from climbing onto a glue board why would they climb into the cup of tea tree oil or mineral spirits? And is the mineral spirits that you put in the cup the stuff like paint thinner? If not what is it and where can I find it? Thanks for your help. Rob, please read the link to the article about ClimbUps in my last comment, and look at the FAQ on isolating or protecting the bed. I basically would no longer recommend putting legs of beds in cups with tea tree oil or mineral oil BECAUSE they too may deter a bed bug. They may also catch some, and this may depend on the bed bug, the texture/finish of the cup, etc. 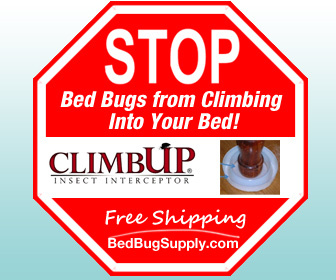 The ClimbUps should not deter bed bugs (we have heard reports that they work well and do catch samples), and I would rather get a bed bug sample, rather than send a bed bug scurrying elsewhere, and never know it was trying to climb up onto, or down off the bed. I am a landlord and have a house that was left with bedbugs. The last tenets just up and left. They never called me or asked me to get a pest control company. I want to do the right thing and NOT rent it until I am 200% sure they are gone. I got a trusted pest control company in and they have treated it about four times (because I see them still in the house). I have been keeping the house at 45 deg. to save at least a little money on gas bills. After the last treatment (about a week ago) I have been keeping the house at 76 deg to get them moving a little more. I have been fighting this problem now for almost 6 months. How long and how can I be sure that the house is ready to rent? I have been going back to the house at different times to see if I see anything and it seems that now I have been keeping house warmer they are getting worse and not better. The house has no carpet.. the house is completly empty and no where for them to hide but in the walls.What is the best thing for me to do to get rid of the darn things and how long do you think this could take. They have had no food (human hosts) for almost 6 mo. now. Thanks!! P.S – I will not sleep there to see if i get bit either. 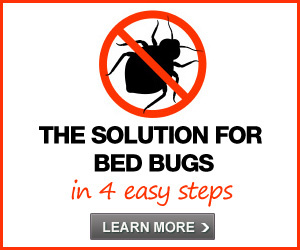 Previous post: Reader Question: how to deal with bed bugs in Qatar?